It’s November, and here in the States we just had mid-term elections, so I thought it’d be the right time to talk politics. Relax, I’m not going to blather on about American politics, I’m going to talk about politics in the Seven Kingdoms of Westeros, as shown on HBO’s excellent television show, Game of Thrones. 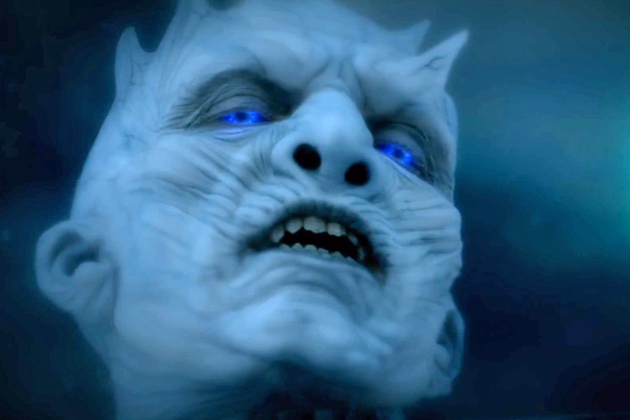 Specifically, I’ll be talking about that independent political entity, the Night’s Watch. So if you’re reading this, you’re either fully informed or surging on regardless. That’s not necessarily a description of the eligible voting population. 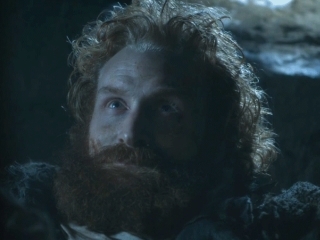 By the end of the fourth season, following the battle at the Wall and the defeat of the Wildlings, Jon Snow had the opportunity to talk to his one-time comrade and captor, the legendary Tormund Giantsbane. Tormund was quite surprised that his wounds had been treated, and he was suspicious of why he hadn’t been left to die. Tormund: You want me alive so you can torture me? Jon: No one’s going to torture you. Tormund: So how do we die? Hanging? Beheading? Drop us from the top of the Wall? Jon: I don’t know what happens to the prisoners. Jon: I suppose Stannis does. Tormund: He your king, now? Jon: We don’t have a king. Tormund: You spent too much time with us, Jon Snow. You can never be a ‘kneeler’ again. When Jon Snow says “we don’t have a king”, what exactly does he mean? Is it as Tormund implies, that Jon no longer considers himself part of the feudal hierarchy, due to his exposure to the egalitarian ways of the Free Folk? Is it a reference to the fact that the Seven Kingdoms aren’t united, with multiple claimants vying over some or all of the lands? How’s that work out? Well, we’ve seen things like that before on the show. Maester Luwin was reminded by Theon Greyjoy upon the taking of Winterfell, that the maesters serve the station, and not a particular person. Luwin was the counselor for the Lord of Winterfell. Theon had taken Winterfell and was therefore its lord. And so Luwin was expected to offer wise counsel. With the Night’s Watch, it’s similar. They don’t serve a king, they are largely apolitical. They’re serving The Realm. 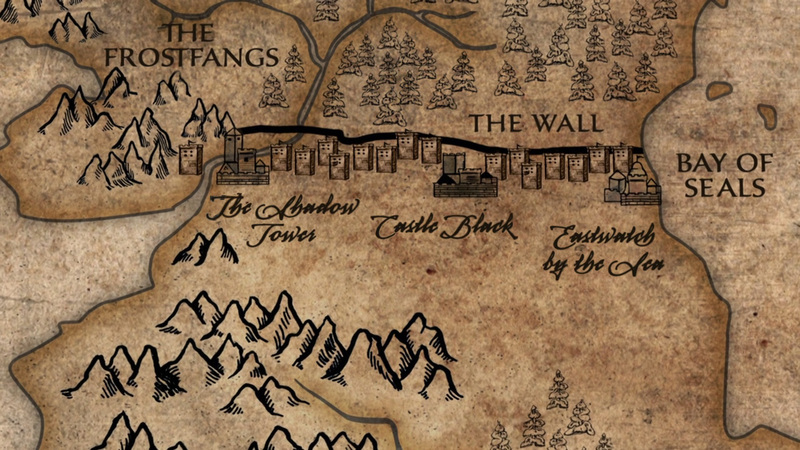 The Seven Kingdoms could have a peaceful monarchy, or descend into chaos and anarchy, or experiment with communism or representative democracy, but that wouldn’t change the Night’s Watch position. They don’t pay attention to which king is in charge of the south. The Night’s Watch Have Other Kings to Worry About. When talking to Jon about the Wildling prisoners, Tormund cut right to the heart of the matter. Who is in charge at Castle Black? Who is making the decisions? 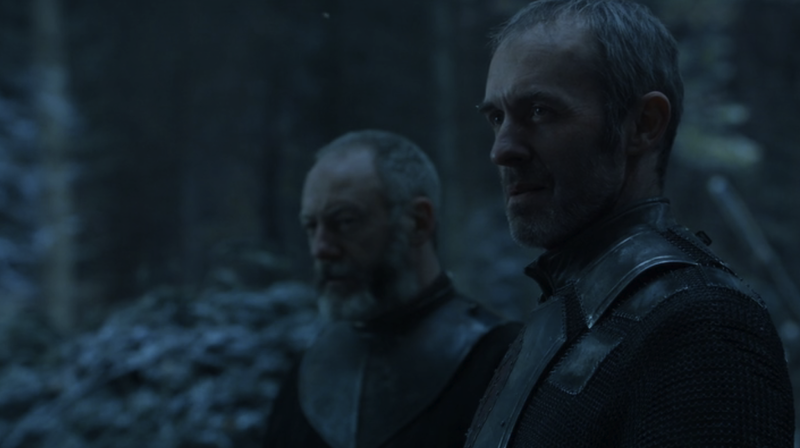 But now Stannis has arrived with forces vastly outnumbering the depleted ranks of the black brothers. Is Stannis now in charge? Of course not! The Night’s Watch is an independent organization, and they don’t have a king. Hah! I’m kidding myself. Stannis is obviously in charge. He’s got something like 800 guys to each Night’s Watchman. If he wanted to, he could chop off the head of every black brother and turn the Wall into Stannisvania. But, should they remain undecided during this time? What’s the harm in siding with Stannis, the only throne-claimant in Westeros to show up with military support to stop the Wildling invasion? Traitorous Sons of Traitory Traitor-Heads! 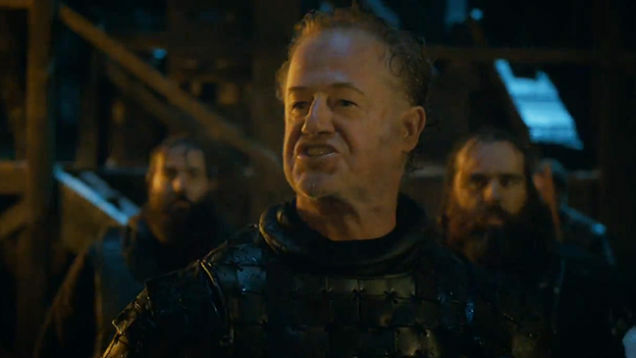 Typically, after a rebellion or conflict of succession, some of the losers are allowed to live out their lives in service at the Wall (like Alliser Thorne, that Targaryen loyalist stooge.) But if the Night’s Watch are on the losing side of such a conflict, to quote Maester Aemon, the Wall would be manned with headless men. And it might not be that much better if Stannis would win the throne with the support of the Crows. King Stannis would probably chop off some enemy heads, light a few sacrificial fires (or Melisandre would bat her eyes and strongly suggest it), but he’d probably also sentence a bunch (a whole bunch) of guys to the Wall. This might not be good for the health of the existing Night’s Watch members. Brother Bob: Oi, quiet down you vast array of embittered prisoners! Sure, you’re all a bunch of losers, literally. But you’re now part of the Night’s Watch, and I expect you to respect my authority. Don’t make me wake up the only other brother here, another staunch Stannis supporter! Ser Brutus: It would make me very happy to see Brother Bob there turned inside out and stuffed into his own stomach. Brother Bob: Whaaaaat? But my side won! Happy Post-Midterm-Elections, everyone. 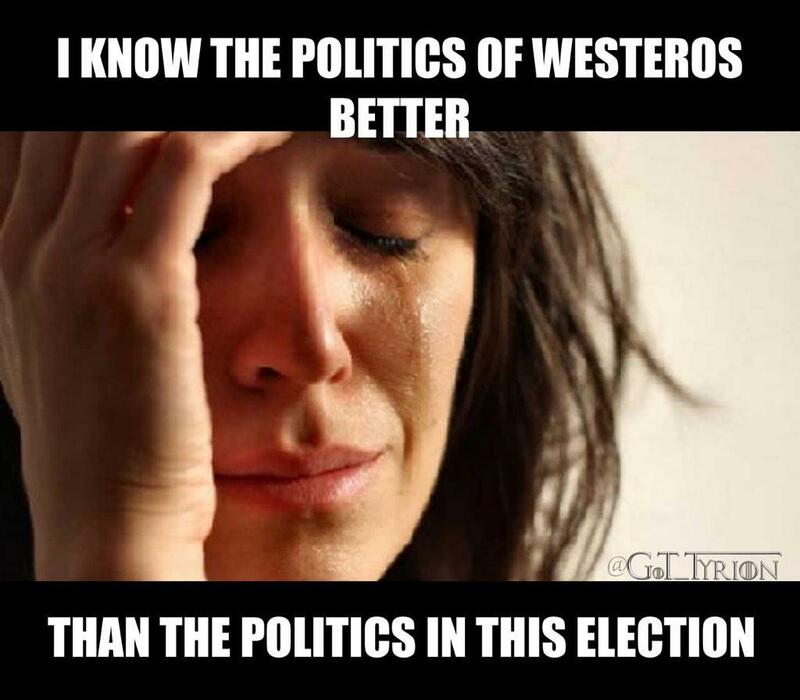 Luckily politics aren’t as scary as they are in Westeros. I think. I should probably pay more attention. Great stuff! You’ve got a talent for writing. Hi Pat, I enjoyed your entertaining analysis…and your lovely line “you’re either fully informed or surging on regardless.” 🙂 Cheers! 🙂 Thank you so much, Sue! Cheers right back at you! I’ve read all of the books, but not seen the series, so I’m obviously a little ahead of you. I’m going to only reference what you revealed here so as not to accidentally spoil anything. The Night’s Watch is in a terrible position, because if they help Stanis they prove they aren’t neutral and no one is going to conciser them such again. If a war breaks out people are either going to try to win them to their cause or get rid of them so they don’t join someone else. There’s a good reason why they’ve stayed neutral. Molly, thank you for your kind feedback, I appreciate it and your own observations on the importance of the Night’s Watch neutrality. For the record, I have read all the books and seen the show, but I try to have my blogs skew more towards the television show (I sometimes link to a secret backup spoilery blog, where I talk more book stuff) so I really appreciate you addressing my article and not revealing future events. Right on! Thank you again, and I’ve enjoyed looking over your blog. It’s nice to meet someone engaged in the writing process.